New Subscriptions start with this issue. Click Here to Subscribe or Renew. For detailed listings of past issues, see our Back Issue List. To purchase the current issue or any of our back issues, click here. Read text only articles online at these sites. 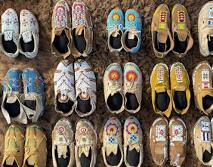 The crafts and material culture of the American Indian. 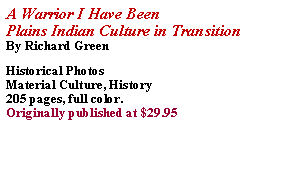 Old historical photographs as well as articles on tradition and material culture. 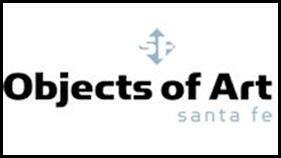 Auction Results, Museum Openings, Powwow dates and much more. 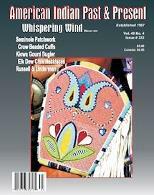 WHISPERING WIND is the magazine for you. Since 1967 we've helped our readers bring the tradition home and help keep the tradition alive. “Love the new issue....the New Gallery and Museum material is a nice addition. Keep up the good work.” — L.H., Jacksonville, FL. “We enjoy your magazine. Sadly American Indian Art magazine is gone. I think, in many ways, your magazine does a better and realistic job and through the coming years can serve many in the concerns of history, art and culture.— R.H., Mashpee, MA. 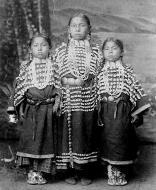 “I am Wyandotte Indian and hand make many of our cultural items (eastern Woodland Indians). I was so glad to find a publication that focuses on the renewal of all Native American cultures, crafts, histories, lifestyles and contemporary growth. 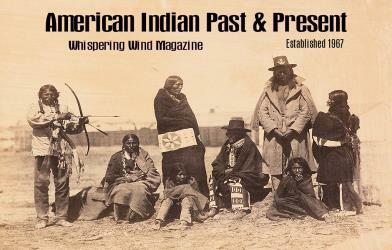 There are still so many tribes that have not found their footing but certainly and deeply feel their heritage.” - D.K., Miami, OK.
"Thank you so much for such a wonderful magazine. 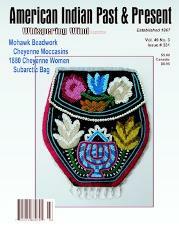 I am a bead worker and really appreciate the patterns and articles on beadwork. It is important to save this information for future generations.”—S.J., Novato, CA. “I thought I would extend a thumbs up comment to you and editors. I am a contemporary beader and outfit maker with my own business. I enjoy your magazine and articles, seeing tips and ideas. Trying to keep up with all the new trends and styles.” —J.T., Bellevue, WA. “Received my first copy of Whispering Wind. If I had known it was that good, I would have subscribed a long time ago. The articles are very good and your advertisers will be happy with me! I haven’t seen such a great selection in any of my other magazines. Thank you for a great magazine.” - W.P., Hillsdale, NY.